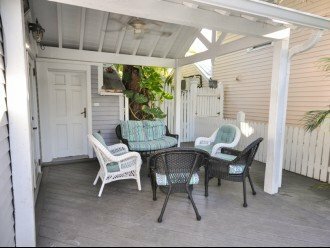 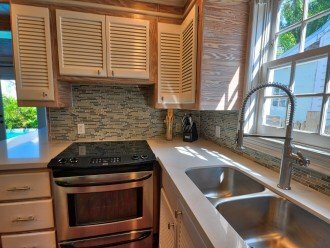 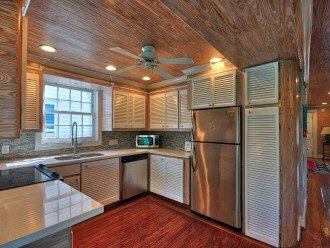 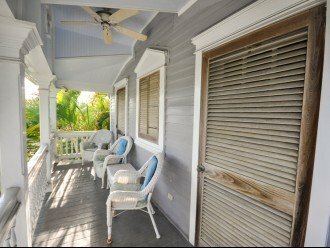 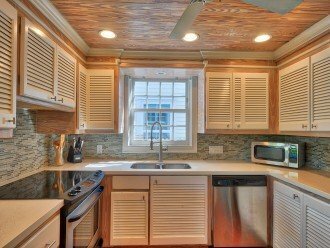 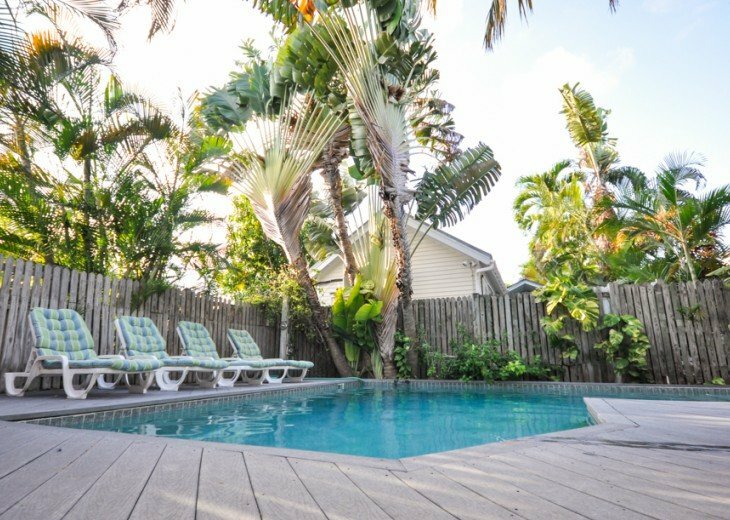 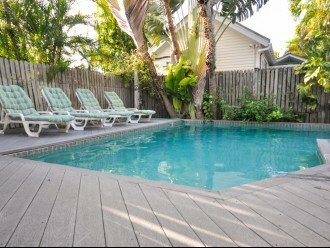 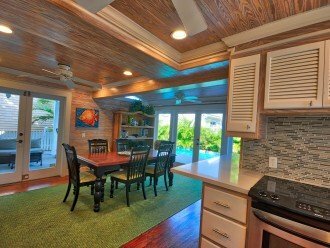 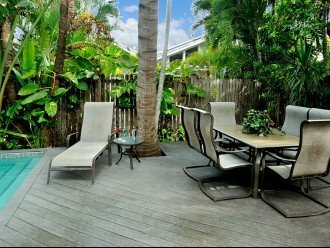 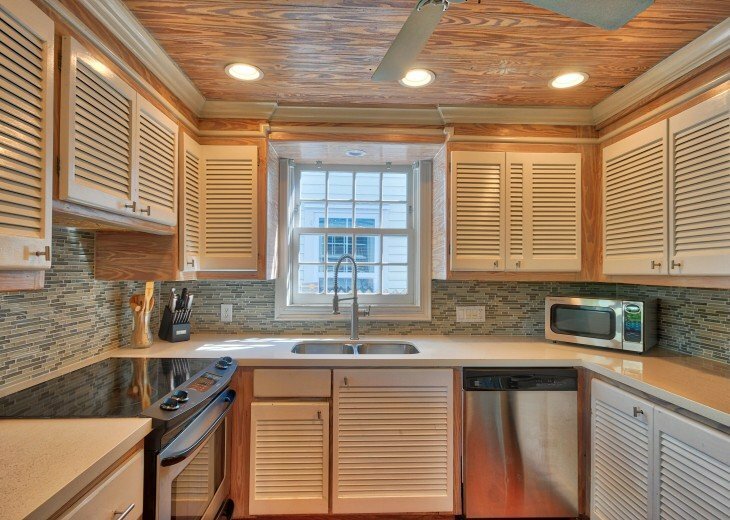 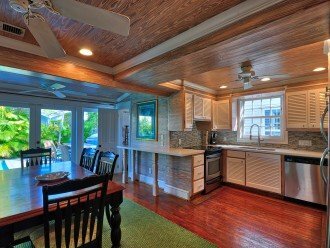 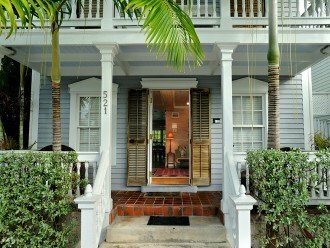 An absolutely perfect location, just a half a block off Duval Street and within walking distance to amazing restaurants, turquoise beaches and the Southernmost Point in the United States. 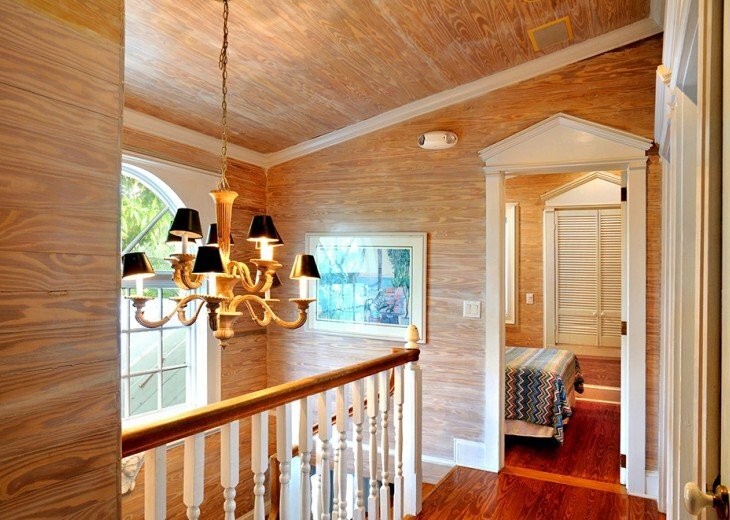 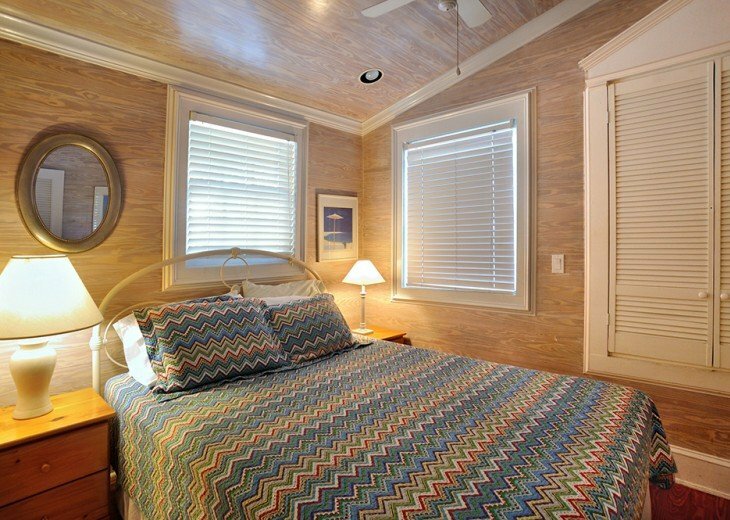 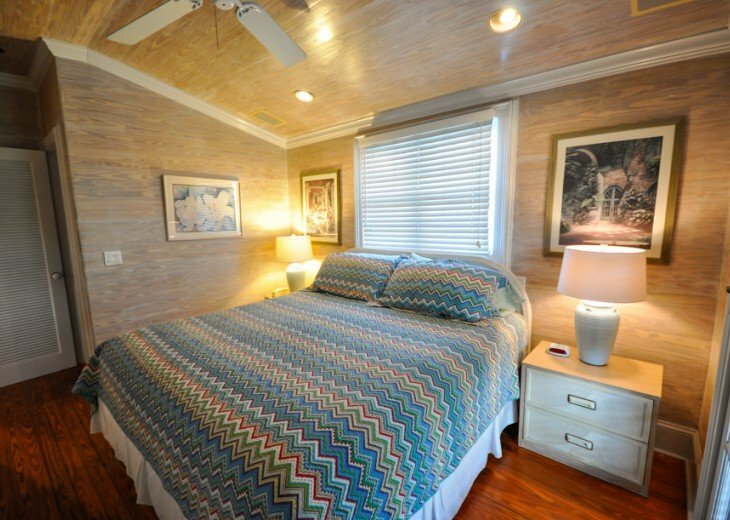 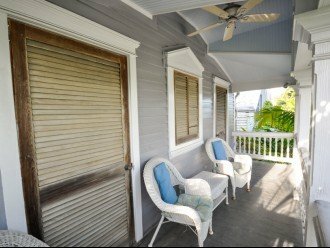 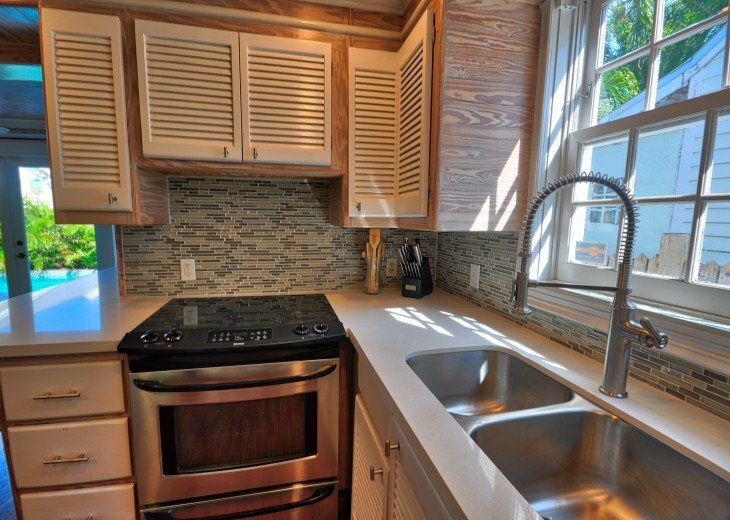 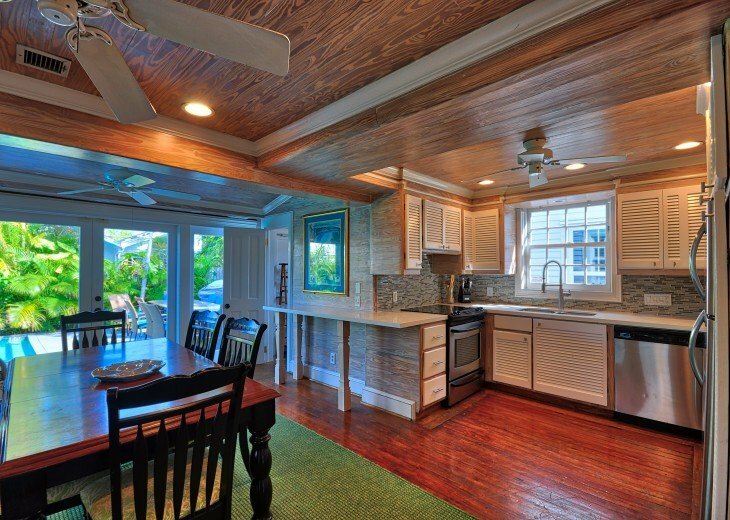 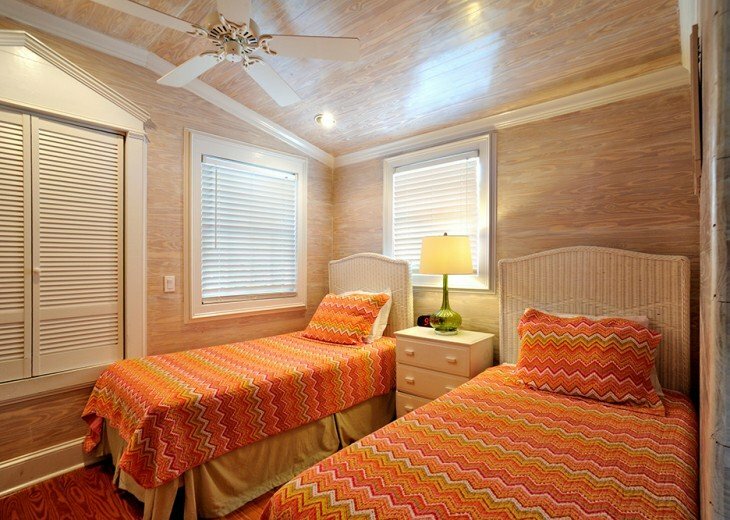 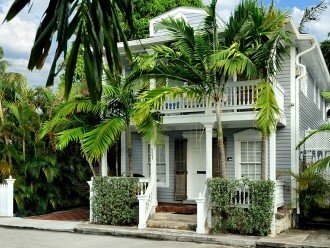 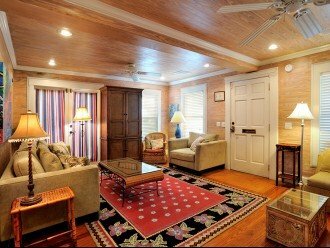 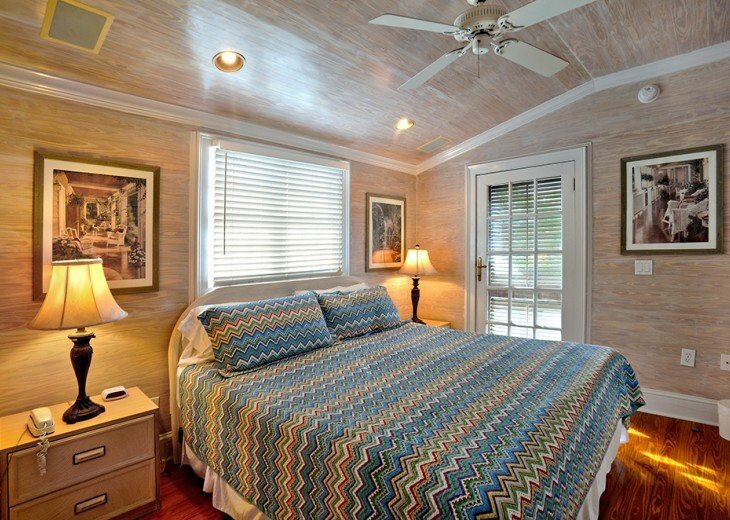 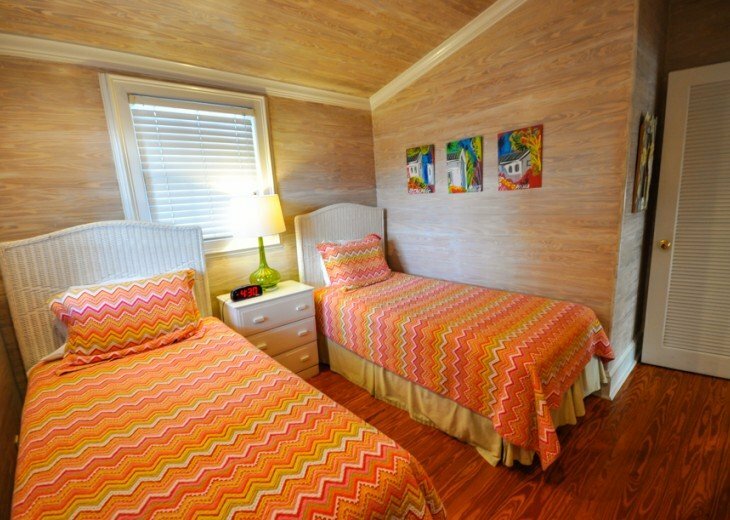 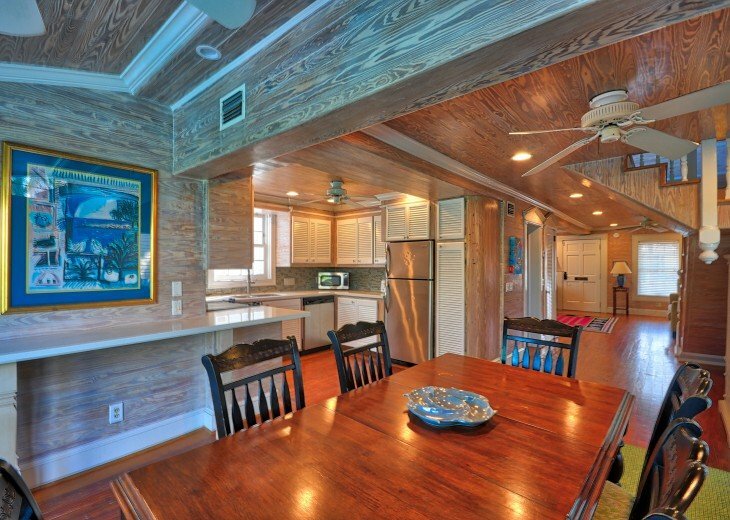 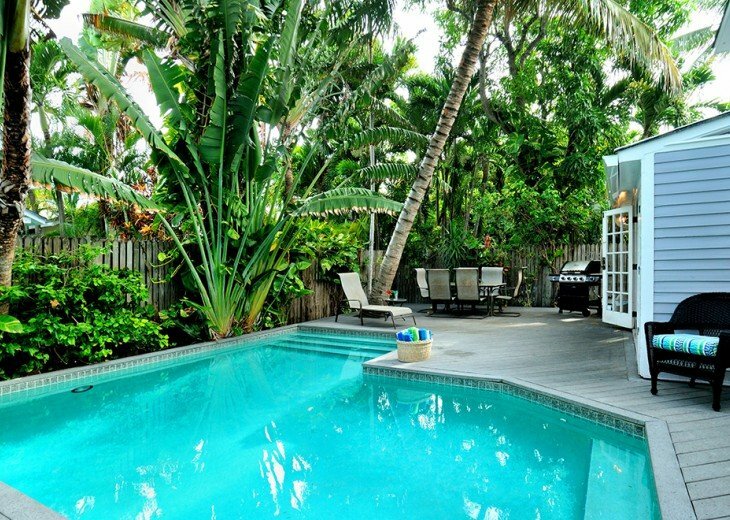 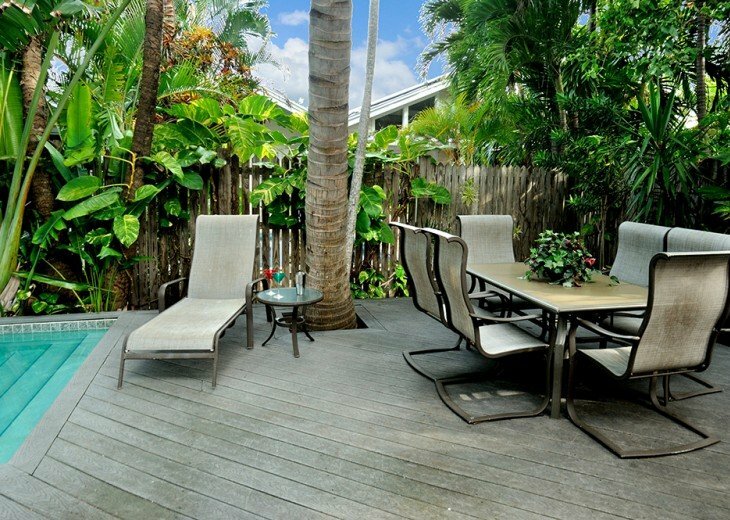 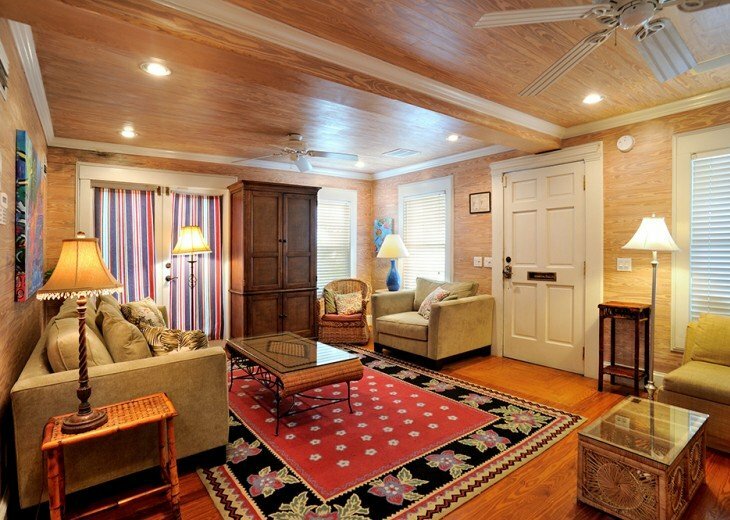 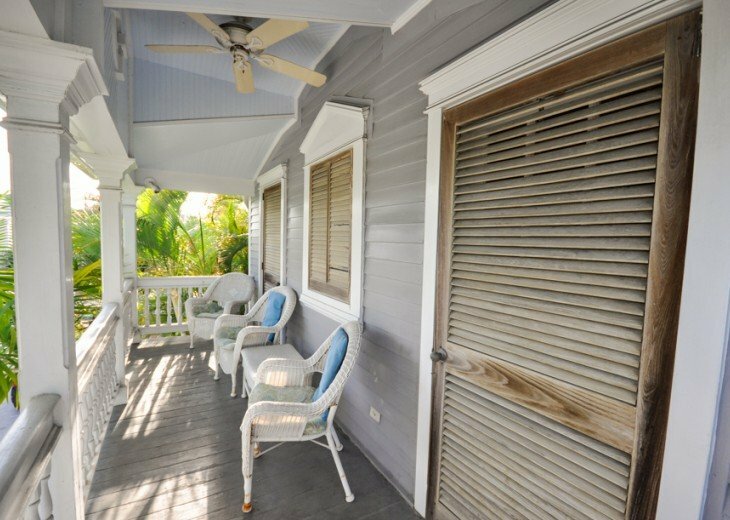 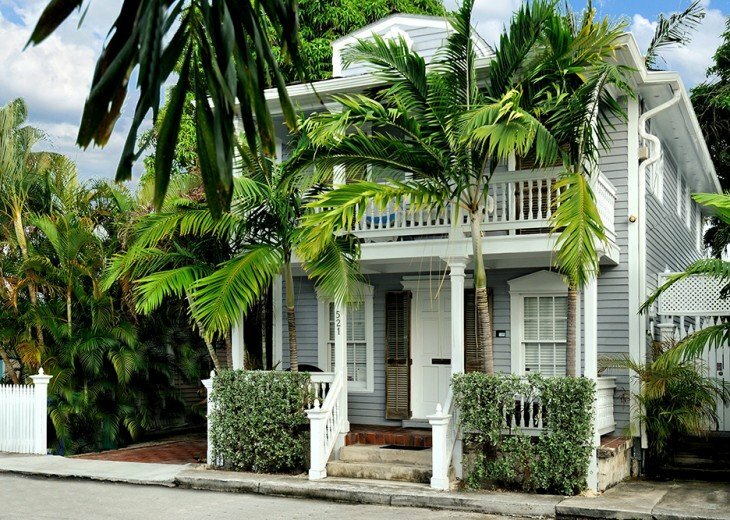 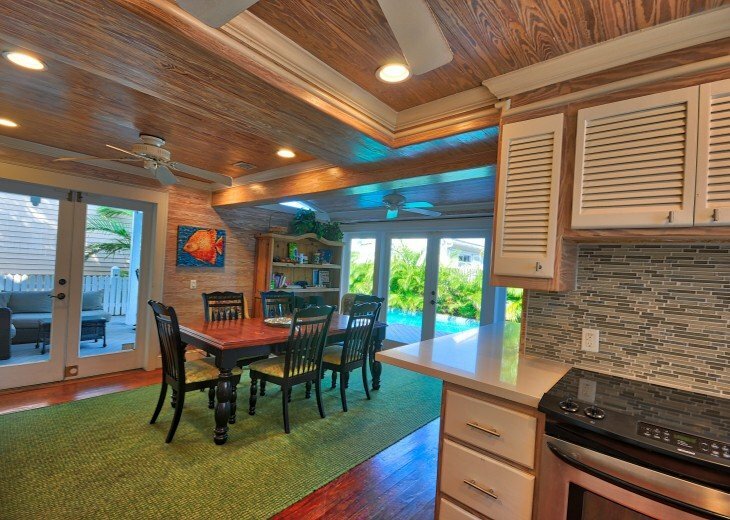 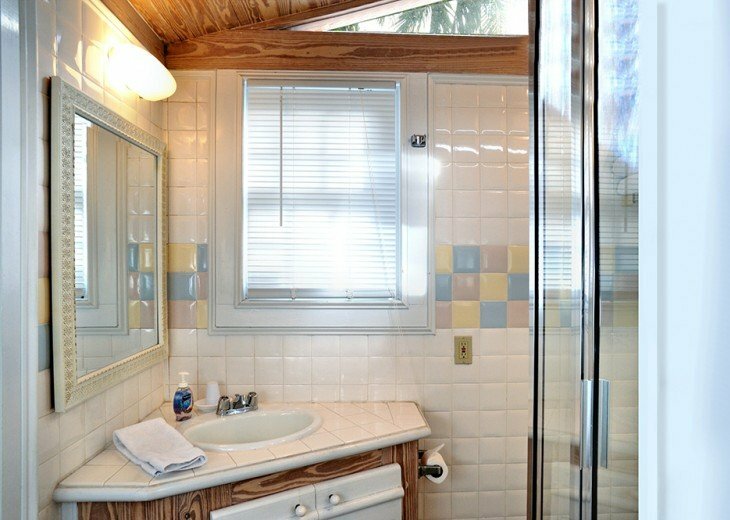 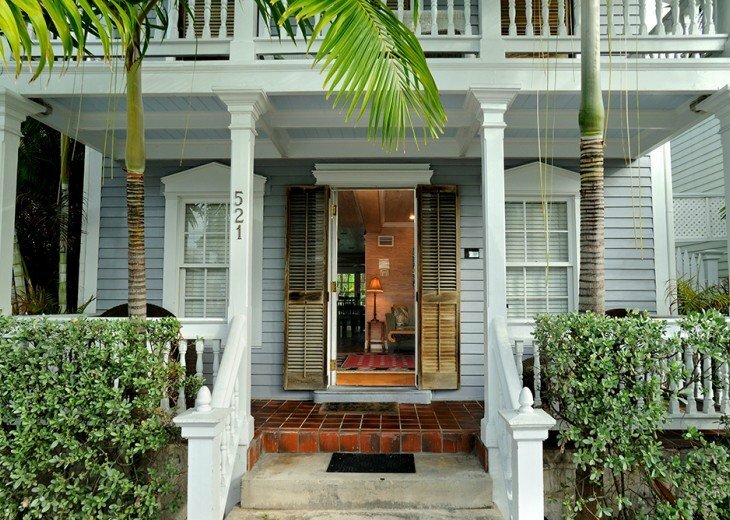 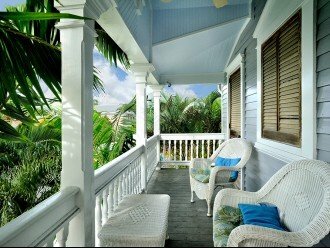 Louisa House has it all for the perfect Key West vacation. 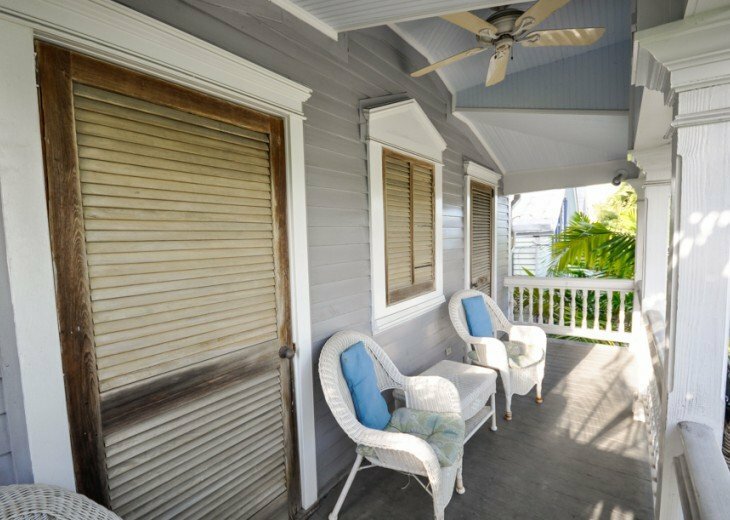 A historic home with elegant curb appeal, Louisa House is casually decorated with gorgeous exposed pine walls and easy, comfortable furnishings. 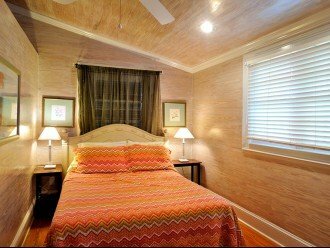 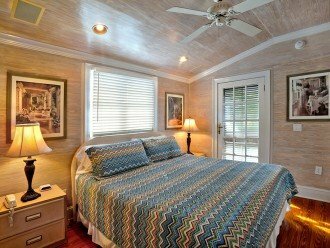 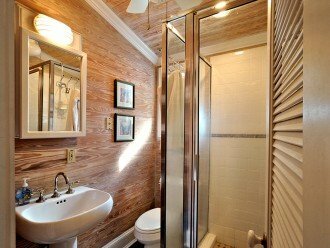 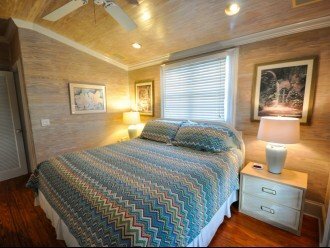 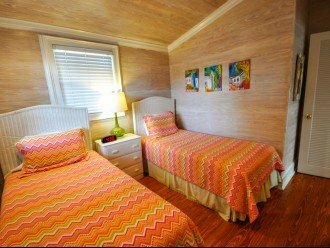 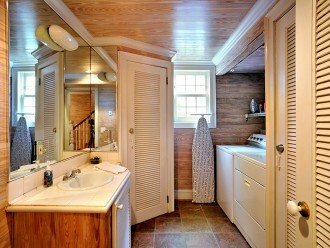 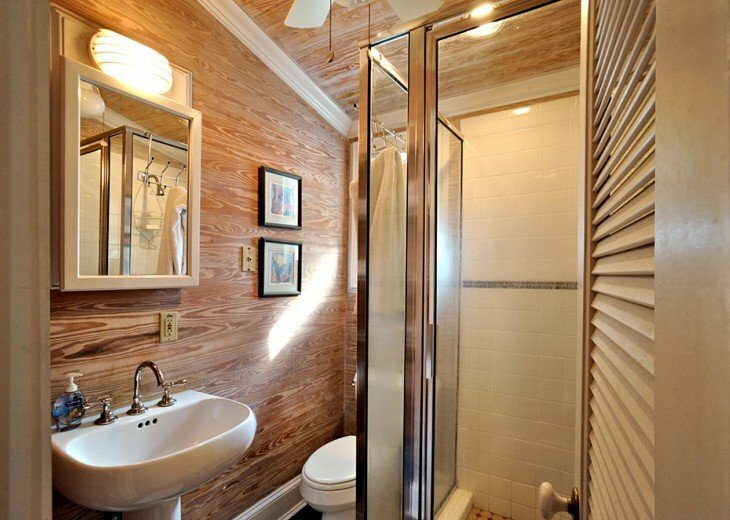 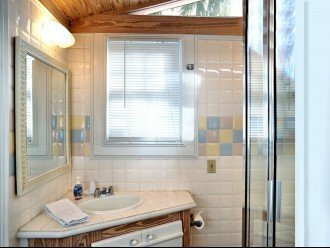 With four large bedrooms and three and a half baths, this home provides a comfortable vacation hideaway for large groups or families. 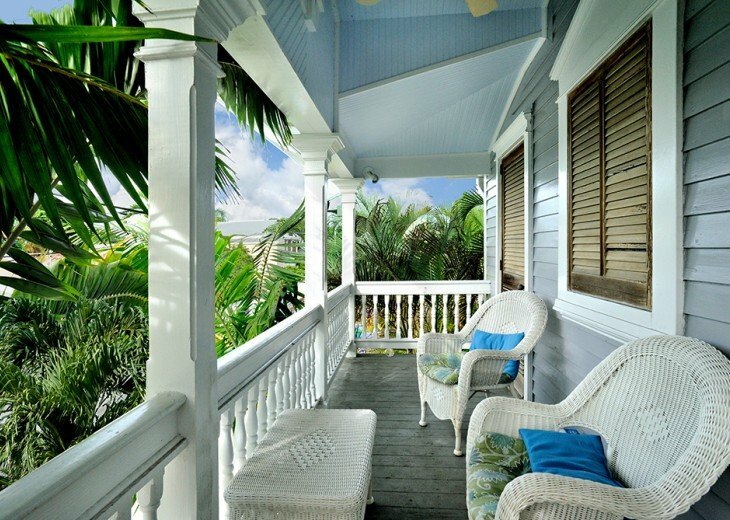 Relax by the pool or on one of the many private balconies and relish the feeling of living "like a local" in paradise. 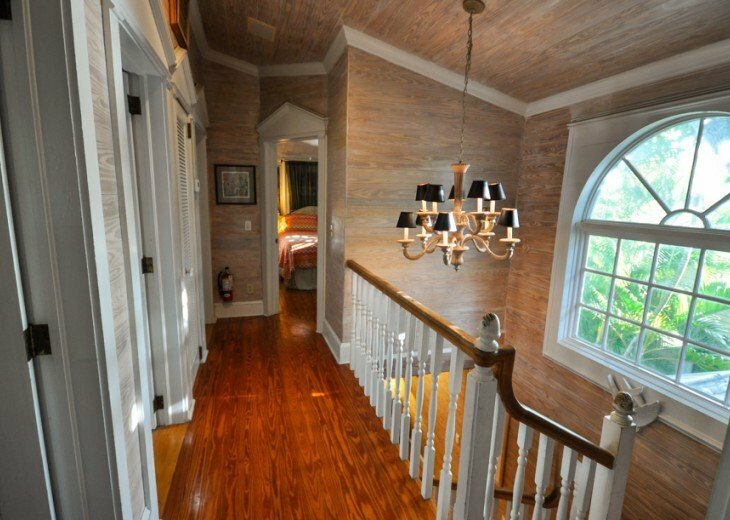 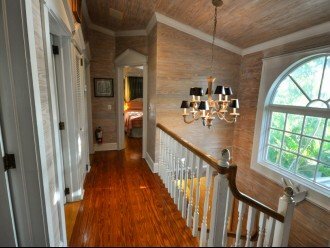 All of the bedrooms and two of the baths are located up the stately staircase on the second floor. 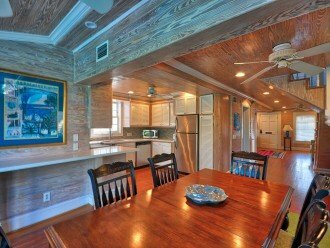 The dining area and kitchen are downstairs; a huge dining table provides the perfect spot for meals and socializing. 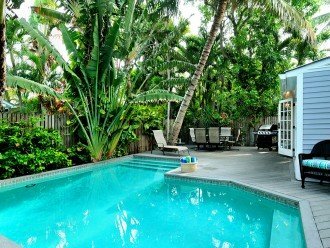 Wide and elegant French doors open to a deck and a deep, cerulean-blue private pool. 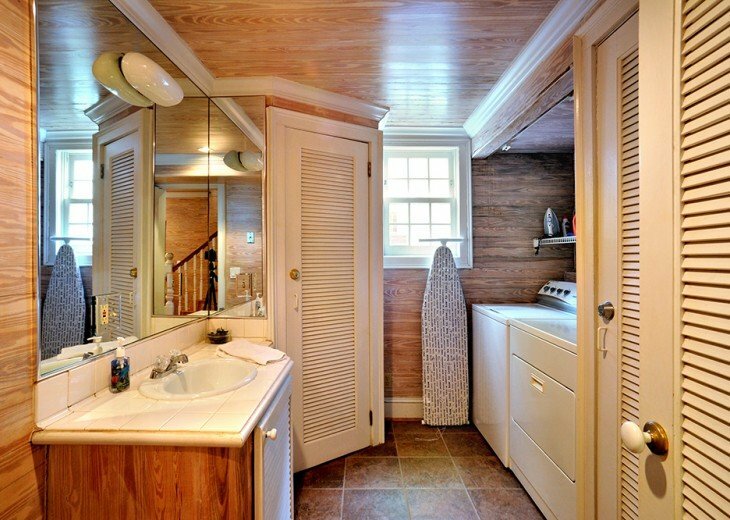 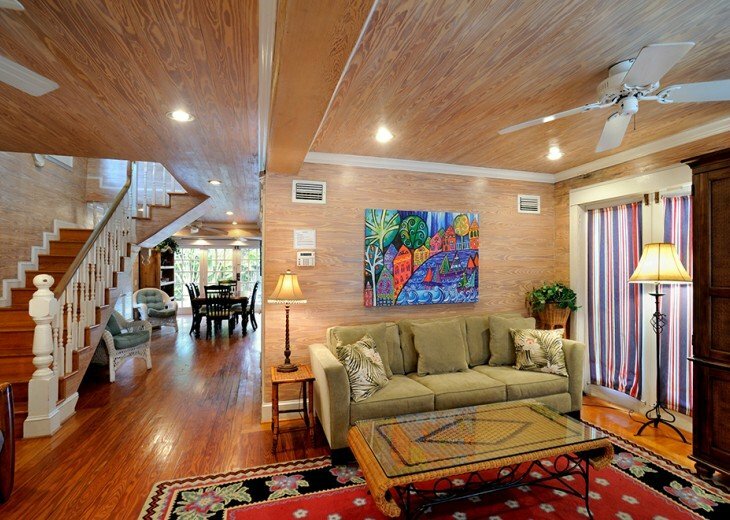 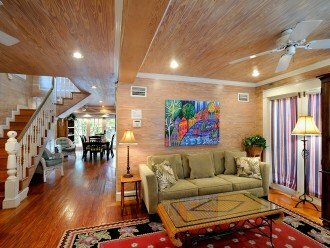 This home is an excellent choice for family reunions or larger groups of friends.